It is better even from the point of survival to fight and be conquered than to surrender without fighting. The day dawned hot and muggy in the thick forest canopy in eastern Nigeria, on the border of the new nation of Biafra. Early June saw the arrival of two Nigerian army artillery regiments, along with two regiments of Nigerian infantry, to the border. The time had long passed to negotiate the many injustices suffered by the people east of the Niger River. All that was left was war. The first shells began falling shortly after midnight. Created from necessity, Biafra existed as a response to the arbitrary ‘political construct’ of Nigeria from the ashes of the former British colony of the same name. The three major ethnic groups (Hausa, Falani, and Igbo) had never lived harmoniously; each had their own region; each their own culture, religious beliefs, and ethics. The Hausa and Falani were more in number, but less-educated. The Igbo, primarily in eastern Nigeria, had a culture of hard work and education. Most of the professional-class of Nigeria, and most of the officer-corps of the army came from Igbo stock; the working-classes and enlisted military personnel from the Hausa and Falani. This divide was never addressed by the colonial government, nor was it addressed by the Nigerian government which followed independence in 1960. While education was available, it was never pursued as aggressively by the Hausa and Falani. Through the first of the 1960’s, the social fabric of Nigeria, absent the controlling ‘lid’ of British troops, began to come apart. Igbo’s who worked in the north and west of Nigeria were increasingly the targets of mass killings. Mobs of Hausa and Falani targeted the Igbo minority, first in the ‘strongholds’ of Hausa and Falani territory; then in the south-eastern part of Nigeria traditionally held as ‘Igboland’. By 1966, the Igbo had had enough. Igbo from all parts of Nigeria began moving ‘home’ to the south-eastern part of the country. A coup by General Yakubu Gowon in 1966 put a final end to democracy in Nigeria. 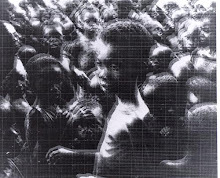 Not long after, an increase in ethnic violence, targeted toward the Igbo, reached the point of genocide. In May of 1967, then-Lt. Colonel Chukwuemeka Odumegwu-Ojukwu, (commander of the eastern military district of Nigeria) in concert with other army officers, academics, and politicians, declared the independence of eastern Nigeria under the ancestral name of ‘Biafra’. Biafra held some pretty important cards in the early stages of its bid for independence. As a nation, it was better-educated. Most of the nation’s physicians were of Igbo ancestry; the core-cadre of military officers were nearly all Igbo, and the nation’s universities were staffed by Igbo professors. Their culture of hard work and creativity were also a formidable asset – and combined with their desire for independence and autonomy, would have a telling effect on the longevity of the nation. Biafra was a nation rich in resources; the country could boast of wood, water, minerals, plenty of arable land, and one of the region’s best deep-water ports (Port Harcourt). Most of the nation’s then-known oil reserves, along with the refineries, were in the new nation of Biafra. Nigerian LSW (light sweet crude) is, in some cases, so good that upon extraction it can be put in a ship’s fuel tanks and simply fired with no need of further refinement. This was Nigeria’s single-greatest cash-convertible asset, and with that asset in Biafran control, the future of Nigeria as a nation was seriously in doubt. Mu Ber Su Suna Kukan Banza. As a nation, they had seen the majority of their talent, plus one of their deep-water ports and their largest single export-item fall into the hands of a people who were now calling themselves a ‘nation’. They had a large army, but no air force, and a few gunboats to protect their coastline. 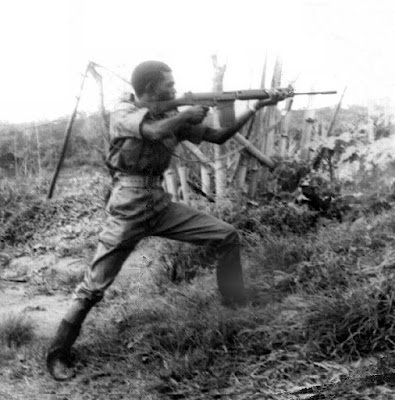 They were ill equipped to do much of anything save for throwing massive numbers of troops at their enemy – and, as most of the officer-corps were Igbo, they were now squarely entrenched across the Niger, training a new Biafran army to resist any invasion. The Nigerian government was faced with two possibilities: (1) A protracted war to recover land and assets, or (2) grant Biafra its independence, and become an insignificant neighbor of the new nation. The initial incursions into Biafra were thrown back with massive casualties. While accurate records do not exist, consistent numbers from a low of 20,000 to a high of 75,000 Nigerian dead are quoted. By July, it was apparent that the Biafrans held the upper hand. Biafra, for its part, knew from Ojukwu on down that failure was not an option. The Nigerian government, from the very beginning, clearly acted in a manner which left little doubt that the war would be a war of civilian attrition in order to destroy the Igbo people. Resources were secondary; this was a war of tribe-against-tribe, for the freedom of a people. 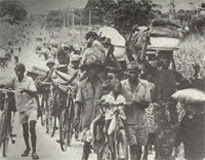 Biafran troops slashed forward into Nigeria, and came within 25 miles of the capital of Lagos. Rioting and looting broke out; both the British government and the Johnson administration in Washington informed the Gowon government in Lagos that they should remain in place, rather than evacuate Lagos and surrender to the Biafrans. President Ojukwu was anticipating a quick end to the war. Biafran B-26’s bombed Nigerian advance positions in unopposed daylight raids. Biafran technology was minimal, but the Biafran ‘brain trust’ began to be felt in the form of short-range guided rockets which were used to devastating effect on government positions. It was clear that the Gowon government needed an air force. They were obliged by both Great Britain and the Soviet Union, which sent five MiG-17’s and four Ilushin Il-28 bombers, along with advisors and technicians, to Nigeria. Egyptian and British pilots eagerly flew the MiGs while Nigerian pilots were in training. Great Britain came to the aid of its former colony with small arms, uniforms, transport vehicles and other aid, along with pilots and technicians. Biafra received the weapons (including some tanks) from the recently-concluded Six Day War fought between Israel and Egypt-and-its-allies (along with official recognition by Israel); several nations (Ivory Coast, Gabon, Tanzania, Rhodesia, and the Republic of South Africa) officially recognized Biafra as a nation – but material support was not forthcoming from those new diplomatic recognitions. 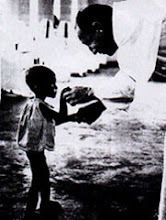 It is important to note that recognition by the Republic of South Africa and Rhodesia did nothing to endear the Biafran government to the newly-independent African nations, and in reality prevented many African nations from formally recognizing Biafra and coming to its aid due to the apartheid regime in South Africa as well as the ‘whites-only’ government of Rhodesia. Biafra established a foreign office in Lisbon, Portugal, from which it actively recruited volunteers from many nations in Europe, as well as set about attempting to purchase munitions and arrange for civilian aid. Repeated requests for aid from the United States were met by deaf ears; the Johnson administration considered Biafra to be a ’side show’, which held little in the way of American interest. Meantime, the effect of the new Nigerian air force began to be felt in earnest. The Nigerians began to bomb civilian targets in Onitsha (on the Niger River border) and Enugu; the capital of Biafra had to be moved as a result to a city more-inland (Umuahia). MiG-17’s began shooting down relief planes (clearly marked with the symbol of the International Red Cross); Red Cross relief efforts were suspended as negotiations continued with the Nigerian government to open ’safe corridors’ for relief flights. 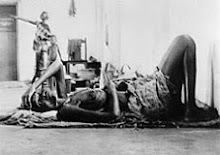 While this was ongoing, Biafra began to starve. Ojukwu, Oxford-educated and one of Nigeria’s wealthiest men in his own right, pledged and spent his personal fortune (around $40M U.S.) for supplies. Ojukwu also used his personal relationships with wealthy Europeans to arrange for supplies and munitions for the new nation. None of this, however, was nearly enough to prevent the Nigerians from invading Biafra. The Biafran capital at Enugu fell in late September, 1967, after a combined Nigerian air/land campaign. It was during this time that General Murtala Mohammed, a Hausa from northern Nigeria, began his ’scorched earth’ campaign against Biafra. At this point, 5,000 Biafrans were dying, daily. Rapidly, things began to turn against Biafra.